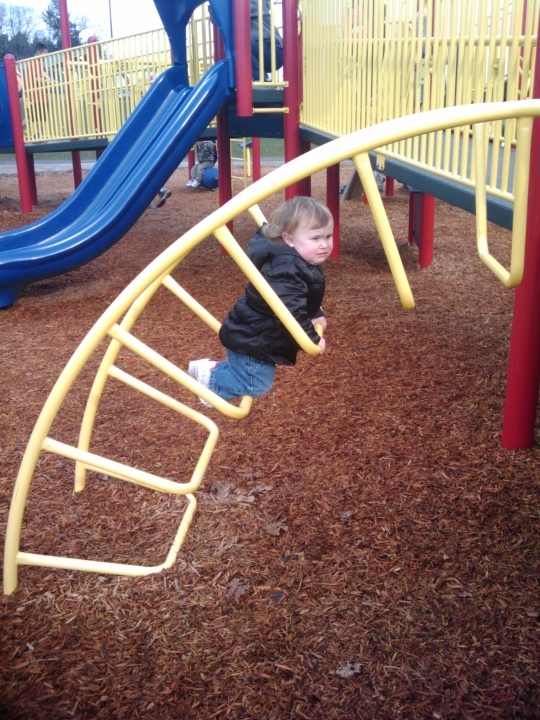 Today was a relatively nice day, and Josh was just begging to go to the park. I promised him that we could go for a little while if he took his nap without a lot of fuss. It turned out to be a great trip for them. 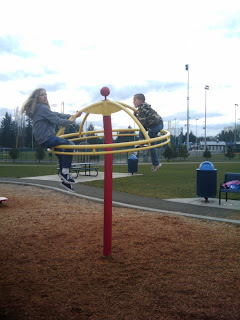 All four kids spent some time on the swings. 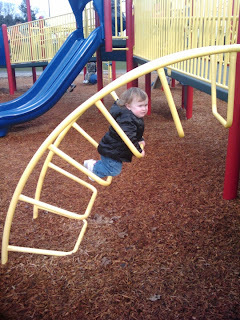 Mika, who initially didn't even want to go to the park, spent most of her time on this contraption. How she spent so much time going in circles without getting sick, I'll never know. 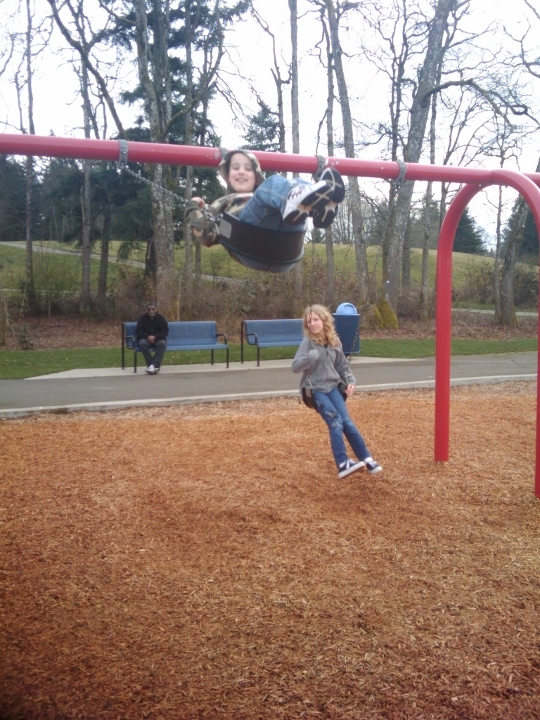 She also ended up in a game of tag with Sam and some other kids at the park. 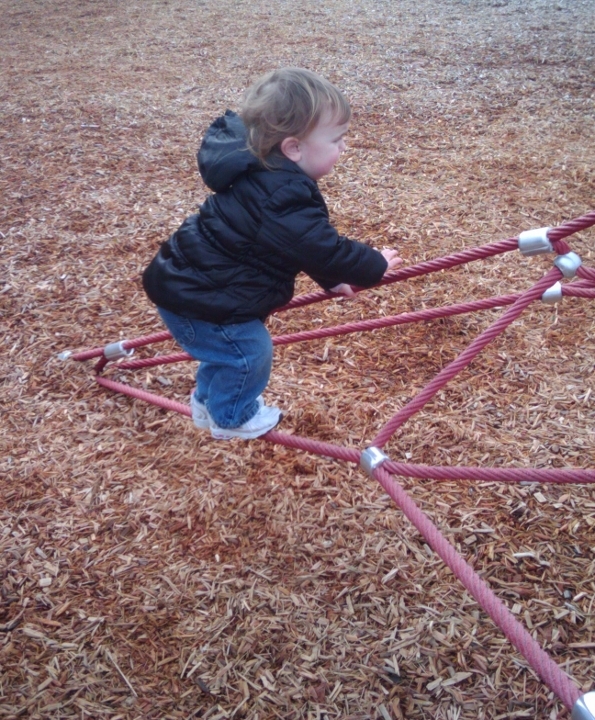 Madelynn attempted to climb this webbed climbing structure. And up this ladder She didn't care for the ladder past the third rung. She'll be scrambling up to the top in no time, I'm sure. Meanwhile, Sam asked me if he could go over to the basketball courts. He ended up in a 2 on 2 pick up game of basketball. It turns out the kids he was playing with were some of the same kids in the earlier game of tag. Still, he would have never approached a group and ask to join them before. And he doesn't even know how to play basket ball. I couldn't get a closer picture because I was nursing Madelynn. Just trust me when I say that little black arrow really is pointing to him. Finally, a whole gaggle of kids ended up on the wave machine. The arrows are pointing to three of mine; the others don't belong to me. 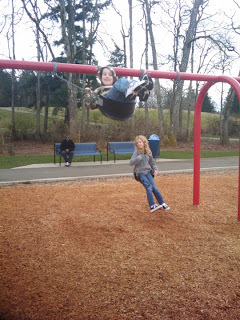 My kids were so happy to finally get some good time in at the park. I keep reassuring them that spring is coming, and soon we'll be regular visitors to the parks in the area.